Over the years, we've become used to Crowe as the gruff portrait of manliness, from the unwaveringly loyal soldier turned gladiator to Superman's dad, and his Joshua Connor doesn't waver much from this perception of him, but there is something sincere and dignified about his performance that it adds an incredibly human aspect to the character that carries over to the rest of the movie. As a director, Crowe presents a balanced look at the tragedy that took place at Gallipoli, acknowledging the losses of both sides, and giving us a rare look at toll taken on both forces in the conflict, the turkish point of view finding a vessel in the form of Yilmaz Erdogan's Major Hassan. The bond he and Joshua form soon becomes the heart of The Water Diviner, empathy and genuine human kindness overcoming any sense of duty and loyalty to your country. The first hour is the movie at it's most powerful, and the scenes where we're taken to the front lines of the war, shot through with a brutal ferocity, make the quieter scenes that more compelling. For Crowe's first time in the director's chair, he handles himself admirably. It all seems a bit safe at times, but he definitely has the makings of a great director in him. The story on offer is explored fully, but it soon falls prey to cliches we've seen time and time again, sprinkled through with a mysticism that feels somewhat out of place. Though, the scene where Joshua uses his diving skills to dowse the exact spot where his sons fell on the battle field will not fail to move you. 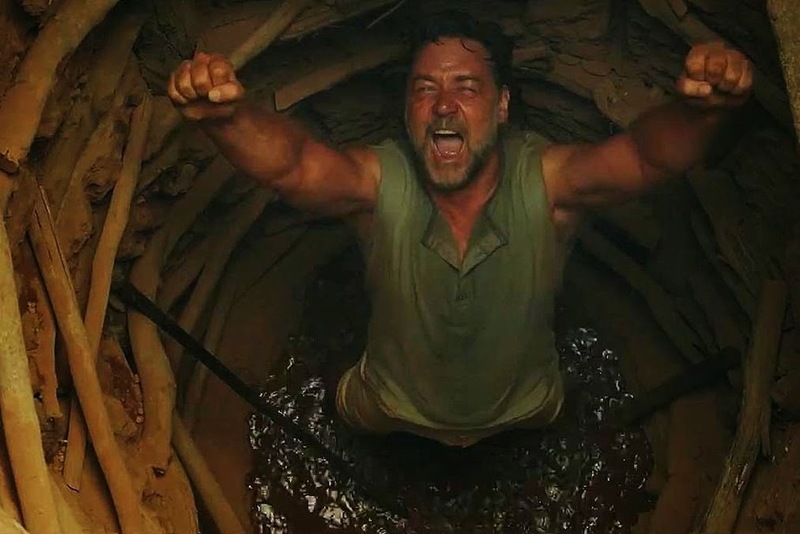 A romantic sub plot with Olga Kurylenko's widowed hotel owner is The Water Diviner at it's most forced, and actually hurts the movie going forward, the scenes devoted to this particular story slowing it down immensely. It even leads to a tacked on ending that almost ruins a genuinely moving finale. An impressive directorial debut from Crowe sees him coax some incredibly powerful performances from his actors, himself included, but it loses steam when cliches rear their ugly head.